Here we go... FINALLY!! 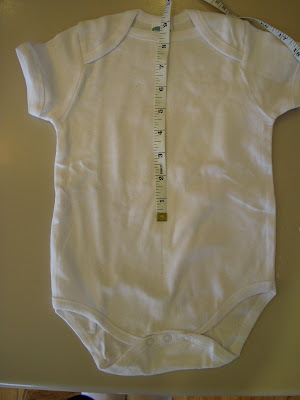 Sorry for the long awaited step-by-step instructions for this handsome little onesie. As previously stated, my sis and I have been so busy quilting lately that I just lost track of time and forgot to post. 1. Here we go, let's get started! 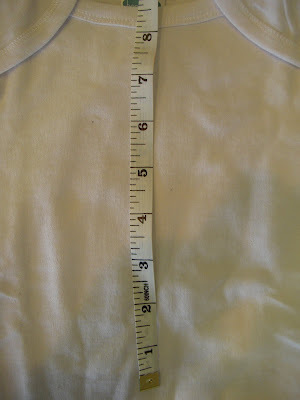 The very first thing I did was measure the length I wanted the tie to be. I decided that from the neckline I wanted my tie to be about 8 inches long. 2. 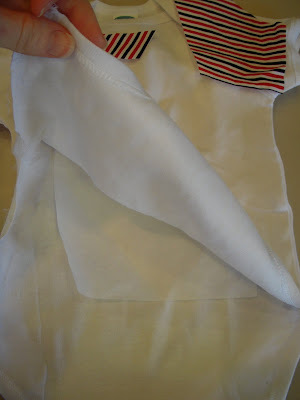 After determining the perfect length for my little guy's tie I folded my "tie-like" fabric on a diagonal. 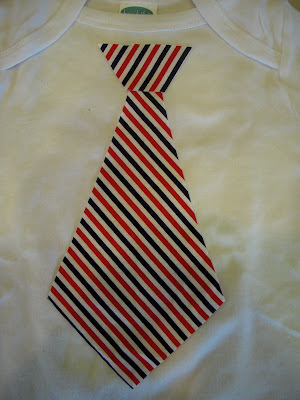 This will of coarse make the tie's stripes slanted rather than perfectly vertical of horizontal. I made sure that the tie would only be 8 inches long from the top to the pointed bottom. By folding my fabric in half I was able to eyeball what half a tie would look like then open my half a tie and get a full tie minus the knot at the top. 3. 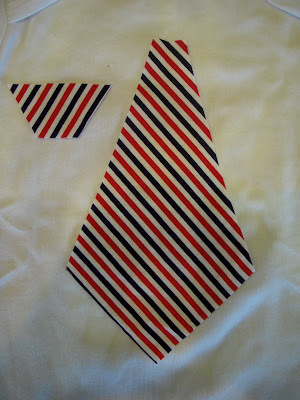 Above is what my tie looked like once I cut it out and unfolded it. I also eyeballed the knot and cut it out. I made sure that the lines were going the opposite direction as the full tie. 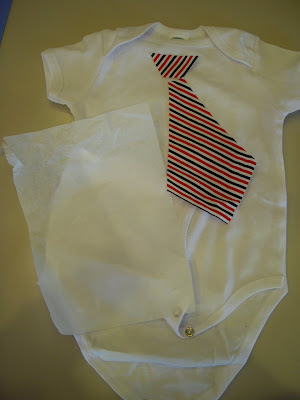 This will ensure that your little guy's tie will look just like dad's. 4. I layed it out to get the full picture. 5. Okay, this part was a little scary... but you can do it. 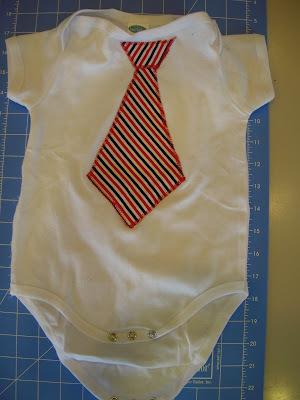 I decided that in order to sew on the tie it would make my life a little bit easier to unpick one side of the onsie. This made for much easier access. 6. Now for that paper lining. This stuff really helps when sewing on applique. It allows a bubbleless finish. 7. As you can see above I just slipped the lining in between the unpicked onsie. This I laid the cut out tie on the front. As shown below I pinned the tie on the onsie, making sure that I also pinned the lining as well. 8. 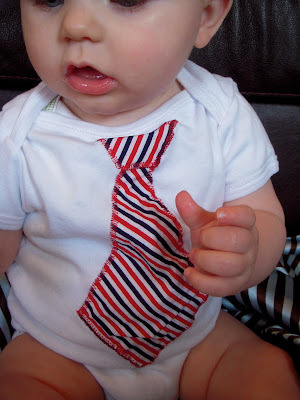 The tightest and widest zig-zag stitch that your machine can make is the way to sew on this little man tie. Look below to see how cute it turns out. 9. 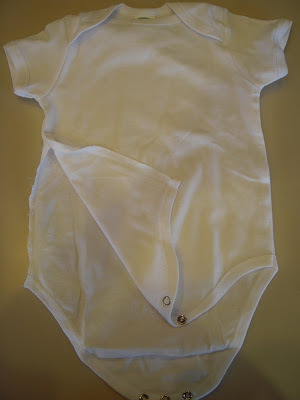 Make sure to tear of the extra lining inside the onsie so it won't bother your little guy. Be careful not to tear too hard. It actually tears off very nicely, and gives quite the professional look. 10. I didn't post a picture to show this next step... but don't forget about that unpicked seam that you made. 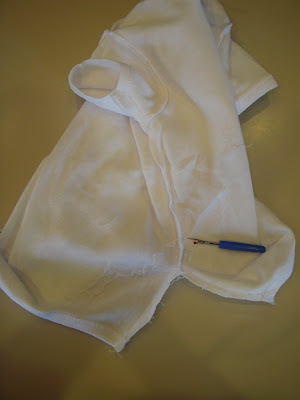 after tearing away the extra lining, keep the onsie inside out, right sides together. 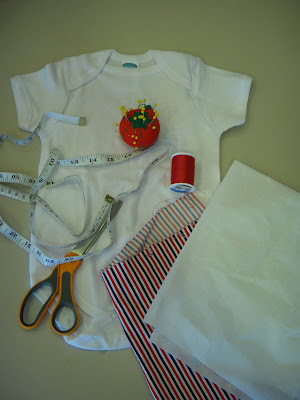 Simply sew with a straight stitch all the way up the unpicked side for your finished product. Ta Da.. hello?!? 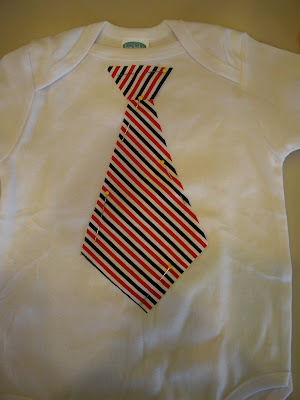 Isn't that the cutest thing ever.. not to mention the handsome little DIY tie onsie! 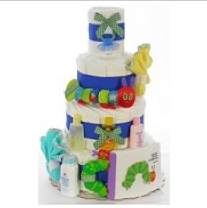 oh and you absolutely have to check out these adorable diaper cakes for your little one or little one to be! Aren't they darling in EVERY way? Just Click HERE to check them out! So cute and a cute little model! I need to make some of these before my little boy gets here! Seriously - I can't TAKE IT! Harrison is so stinking cute!!! I love the tie onesies! 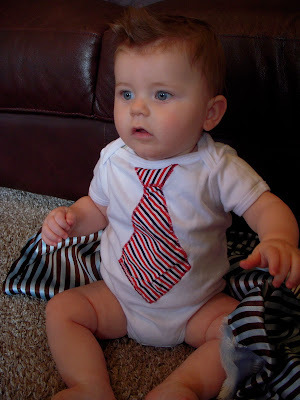 This seems to be a great site for purchasing stuff for kids like baby whole sale clothing with fine quality - available with all top Boys Ties, brands Barbie, Ben 10, Peppa Pig, etc.and i would surely like to try their service...i had been relying on http://www.1stkidswholesale.co.uk earlier and they too offered good stuff. LOVE this tutorial!!! now I have 4 hours to crank a few out! I have everything to make this but the backing, do i need it? Couldn't i just sew the tie on without the backing?